How to say Merry Xmas in different countries (languages) | Cheers m8! 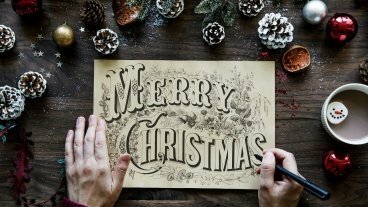 The greetings and farewells "Merry Christmas" is traditionally used in English-speaking countries, starting a few weeks before Christmas (December 25) each year. The word "Merry" is simple to define. It unquestionably means to be happy, joyful and light-hearted. The word "merry" fits into the ambience of laughter and frivolity. Christmas (Old English: Crīstesmæsse, meaning "Christ's Mass") Christ, the Messiah, is used as a title for Jesus in the New Testament. Explore how to say it in different cultures below.